Especially for those of us that live in London, or any larger city for that matter, we know that gentrification is driving communities apart. A district or area suddenly becomes trendy; high-income earners move in; prices are pushed up and low-income residents out; and even though general awareness seems to be on the increase, we are lacking strong solutions at the local level. ... to set up community-led businesses such as urban gardening/growing sites (e.g. Wolves Lane Centre in Tottenham), cooperatively owned pubs (e.g. the Ivy House in Nunhead) or community kitchens (e.g. the Brixton Soup Kitchen). They ensure that money stays local, and that people have increased decision-making power over food and land. However, in order to run these types of businesses and projects, we need to have specific skills, time, confidence and funds. That is not the case for everyone! Resources are lacking, particularly in communities that are already feeling the effects of gentrification. Yet again, some people continue to be missing from the table of local decision making. 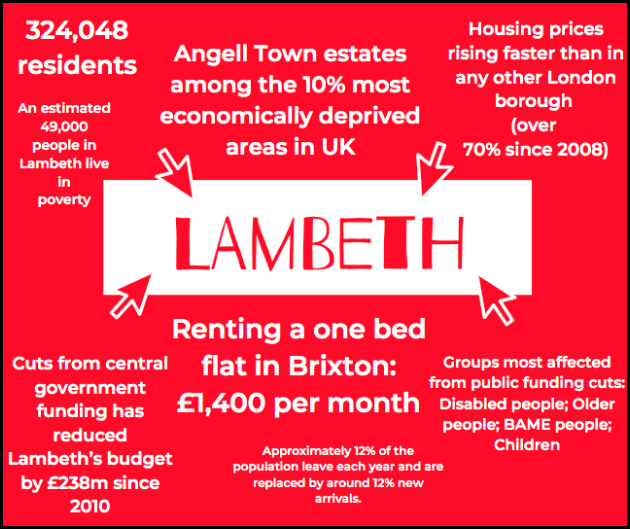 We'll be working across three Lambeth-based community centres in the areas of Angell Town, Tulse Hill and Central Brixton. We will explore how we can build inclusive spaces that can drive community action. We’ll recruit 21 people across the three sites to take part in the OurSpace Leaders Programme, building their skills and capacity to ensure that resources to set up successful community businesses are more evenly distributed. 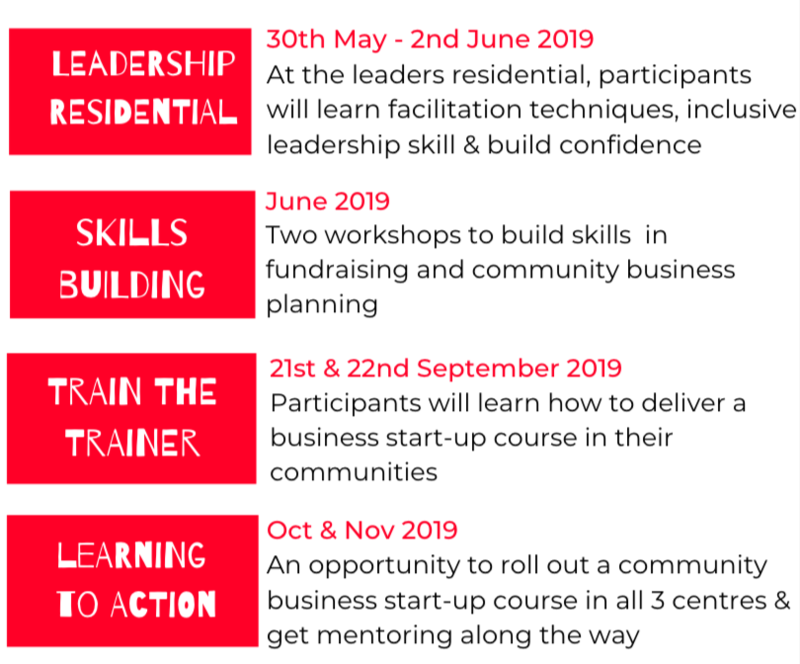 Taking part in the OurSpace Leaders Programme, will enable participants to build practical skills in inclusive facilitation and leadership, business planning and fundraising. 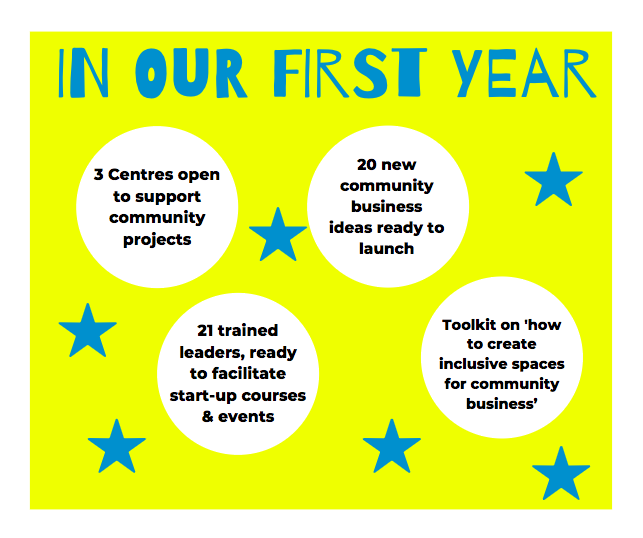 Working in teams across the three community centres, the newly-trained leaders will then have the opportunity to deliver community-business start up courses for members of their own communities. The OurSpace team will mentor and guide them throughout the process. By taking this 'Train the Trainer' approach, we will build capacity and ensure that each community centre can support the success of their local projects in the long run. In 2020 we will scale OurSpace to different London boroughs and other UK cities. For 2021 our aim is to bring this project to cities across Europe, and explore what a cooperative network of community centres and co-working spaces could look like. 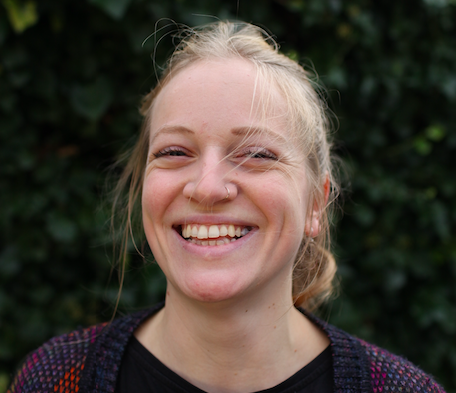 Steph is a passionate Community Organiser who believes in local communities' capacity to find their own solutions to the challenges they are facing. 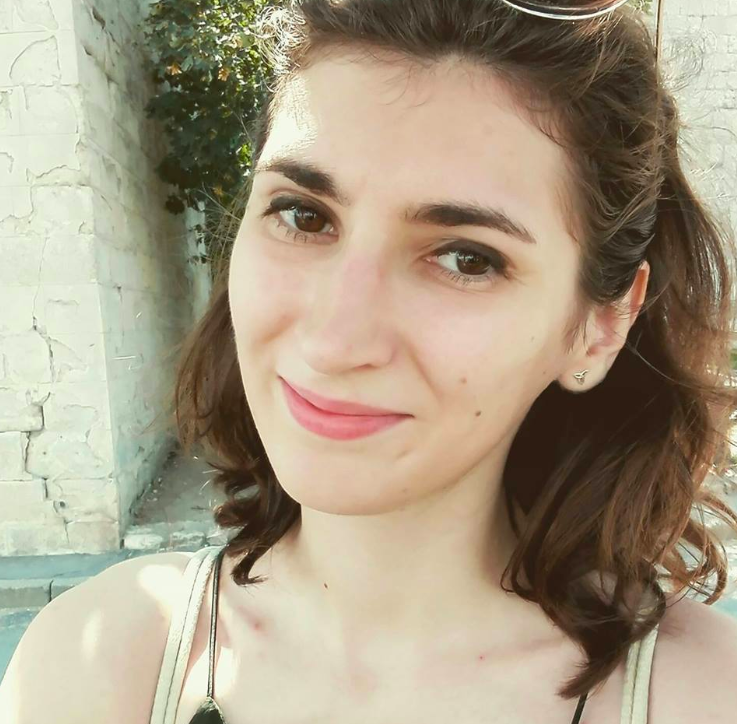 In the past, she managed 'Open Project Night', an open-space event held in Pop Brixton that allows community groups to access free space and support to work on their community projects. 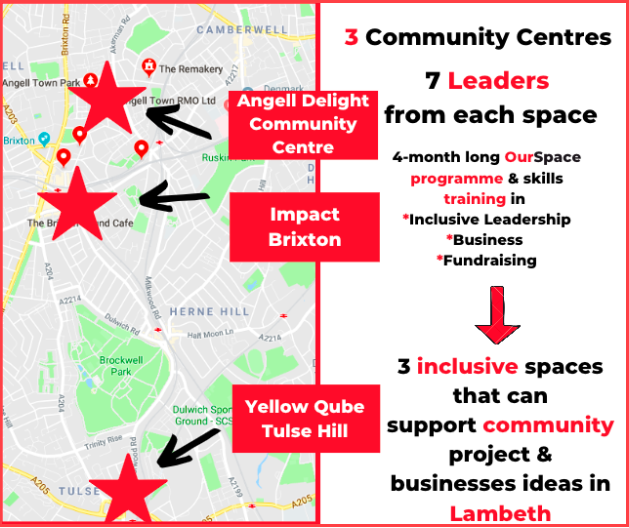 Working closely with Brixton-based activists, local groups and grassroots initiatives, she decided that in order to really drive sustainable neighbourhood development; initiatives such as Open Project Night need to engage more strongly with areas and community centres outside of the very gentrified Central Brixton. This is how the idea for OurSpace came to life. Georgina is the Founder & CEO of BUD, a social enterprise that helps community entrepreneurs to grow their ideas into businesses. She is the author and designer of Lead Positive Change, a tried and tested community business start up course, and core element of the OurSpace Leaders Programme. Georgina cares passionately about building people's confidence and leadership skills. 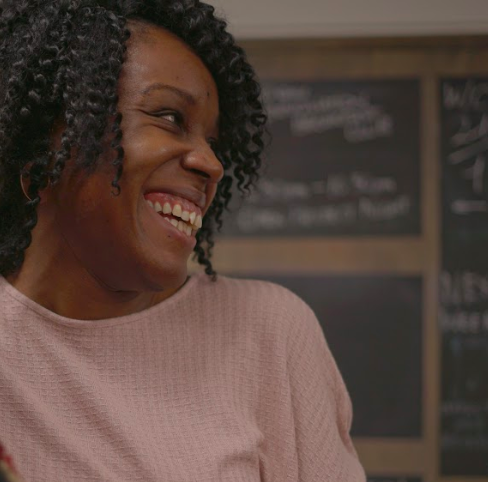 She establishes deep peer to peer support systems at the local level, and has more than 10 years experience working in the Lambeth community sector. She was involved with and supported the success of the Open Project Night, where the seeds for OurSpace were planted. Yvonne is the Founder and CEO of Ubele Initiative, an organisation supporting BAME community entrepreneurs. She has more than 35 years of professional experience working with organisations and stakeholders ranging from professional front line staff through to senior management, policy makers and planners in local, national and international government, civil society organisations and the corporate sector. Yvonne has an MA in Community and Social Work, a MSc in Change Agents Skills and Strategies, and professional qualifications in community and youth work, teaching and social work. She has also been on the board of a number of charitable trusts and is a Fellow of the Institute for Learning (FIfL) and a Fellow of the Royal Society of Arts (FRSA). 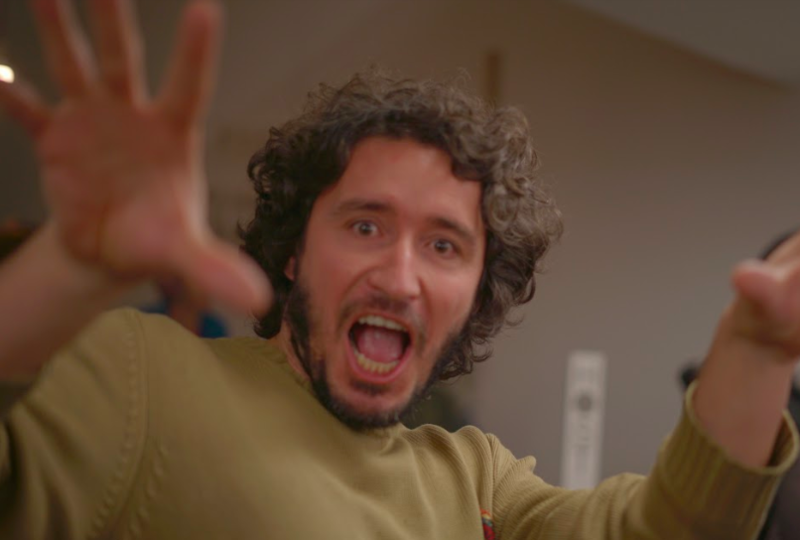 Fausto is an experienced and trained Community Organiser, facilitator, theatre practitioner and yoga teacher. He mentors and facilitates groups to drive community-led change and fosters deep human connections. Working with a range of innovative facilitation techniques, he is a core part of the design team for the OurSpace leaders programme. 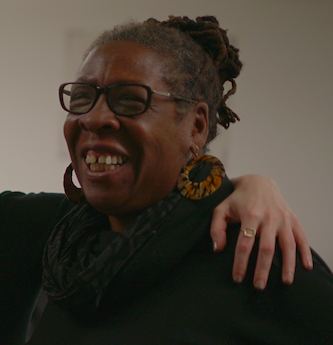 Anita works with community and social enterprises to drive their brand and customer engagement. She has extensive experience leading on communications and media campaigns, and develops the OurSpace comms strategy. OurSpace is funded by Big Lottery Fund, through Power to Change (Sandbox Ideas Programme) for the duration of 12 months. The grant covers the core costs of our project, and allows us to build an infrastructure of support across the three community centres. 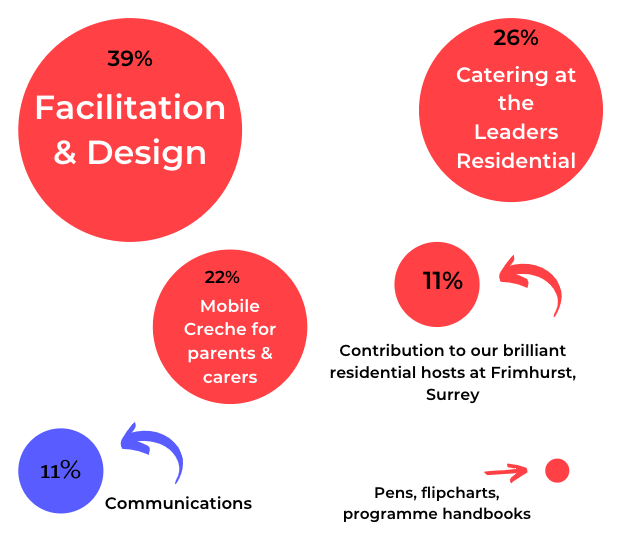 - We can add a contribution to our fantastic residential hosts at Frimhurst, Surrey. - We will be able to afford a mobile creche, making our residential accessible to anyone who is looking after children and/or young people. - We can pay our brilliant Brixton-based caterer to keep us fed & healthy at the leaders residential. - We can afford flipcharts, pens, papers and other crucial material to drive our leaders' learning and development. - Georgina, Steph and Fausto will be able to plan, design and deliver a transformative Leaders Programme. 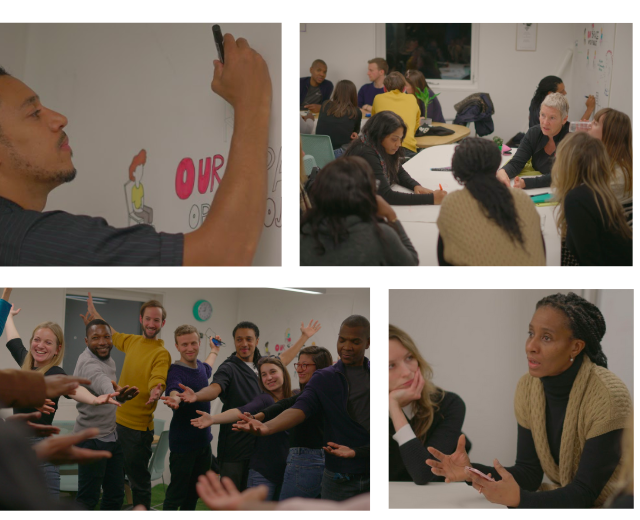 Stretch Traget: Any additional £600 raised will enable us to shout about the OurSpace Leaders Programme through communications, social media and photography by involving our brilliant communications consultant Anita. Receive a thank you Tweet from the OurSpace team. Your name & logo will be added to our website as supporters. You will be listed and publicised as an official sponsor at our courses and events. Your name & logo will be added to our website as supporters. Join a webinar and develop your Outreach & Community Engagement Strategies. You will learn how to build new, innovative partnerships outside your pool of usual suspects. An OurSpace team member will introduce OurSpace, our impact and research findings at your event/meeting/conference/workshop.  Your name and logo will be added to our website as supporters. Receive a space at our Train the Trainer Weekender for yourself or a member of your team. Learn how to deliver the tried and tested community business start-up course ‘Lead Positive Change’. Dates: 21st & 22nd September 2019 Your name and logo will be added to our website as supporters. Receive a space at our Leaders Residential for yourself or a member of your team. Learn vital skills in facilitation, community building and inclusion. Spend three nights and three days at a beautiful mansion in Frimhurst, Surrey together with like-minded people. Costs for food and accommodation are included in the donation. Dates: 30th May to 2nd June 2019 Your name and logo will be added to our website as supporters.